Here at Martin Ward Photography, we know that you want those extra special images of you and your family all together that are simply impossible to photograph yourselves! 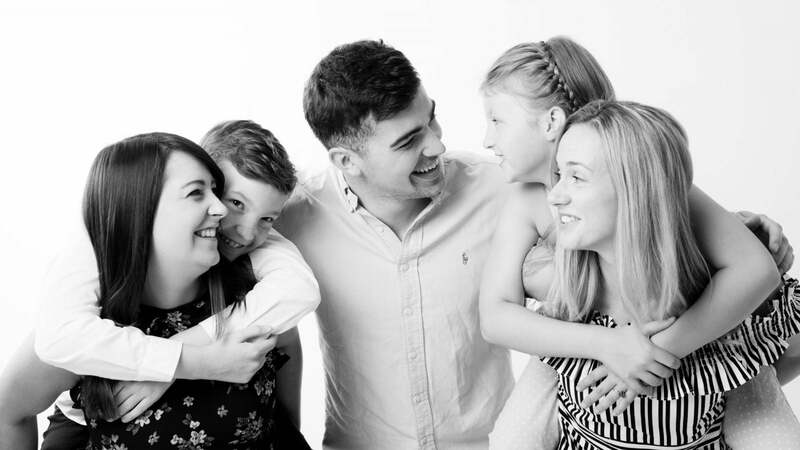 Captured images of your Family all just being yourselves, laughing, playing, hugging but of course you all looking your best whilst avoiding all of the stresses that come with trying to get that perfect family image for the wall! ………. we know it only too well and you know what… We can handle it. Not only will we take away the stress in you trying to get that perfect family portrait, we’ll make sure that the images we capture in your family session make you happy, we even tend to see tears of happiness in the viewing session! All of our photoshoots are unique! We will telephone you to chat a few days before your family session to get to know you a little better and discuss ideas to make your session more personal. We can offer ideas on clothing, colours and personal items to bring along to create awesome images. Enjoy your fun filled, creative photoshoot. Martin will make you feel welcome in the studio and relax into the session and enjoy the whole experience. After your shoot we will make an appointment with you to come back to your personalised Cinematic Viewing. This is where your families story will really come to life. We have a range of products to suit all tastes and packages to suit all budgets. Our sales team will be there to help and walk you through selecting your favourite images and offer advice on finishes and framing options suited to your home and budget. After your bespoke wall art arrives back in the studio from the UK’s finest labs, we will contact you to arrange to collect. We are sure by this point you won’t be able to wait to get it hung up on the wall. Ready To Book A Session?! Impressed by what you have seen? Can you picture your family having an amazing experience with us? By inputting your email address into the above email sign-up field, you are agreeing that Martin Ward Photography can store the information you have provided for the purpose of responding to your query and to keep you updated with information, offers and news. In compliance with data protection laws, we will not share this information with any other third parties or organisations. If you would like to opt out of our mailing list at any time, simply click unsubscribe in the footer of the emails you receive from us.